Home / News / Where would we (women) be, without education? Where would we (women) be, without education? To celebrate Commonwealth Day, we look back on our work with the Commonwealth Countries’ League Education Fund. Toward the end of 2013 we were honoured to be invited to showcase our collection at the Splendours of the Commonwealth, Mayfair Hotel, London, in aid of the Commonwealth Countries’ League Education Fund. The CCLEF charity aims to sponsor girls from the Commonwealth through their secondary education and have done a fantastic job doing so! 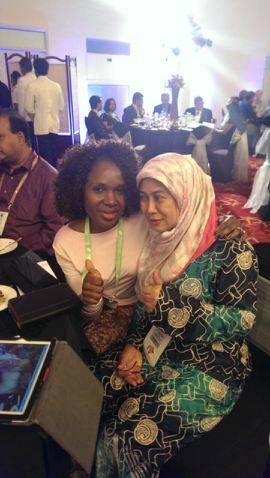 In fact, the current Global Ambassador for the charity, Ladi Dariya was indeed one of those girls a few decades ago. Born in rural Nigeria, she muses over what could have been her fate- too early a marriage, too early to bear children and total dependency on her husband. Now with a PHD and a lovely family and husband under her wings, she in turn helps those to have the same opportunities all around the world. Remarkable. What is most striking about this superwoman, is her humility, sweet spirited positivity that warrants a huge hug every time we meet. 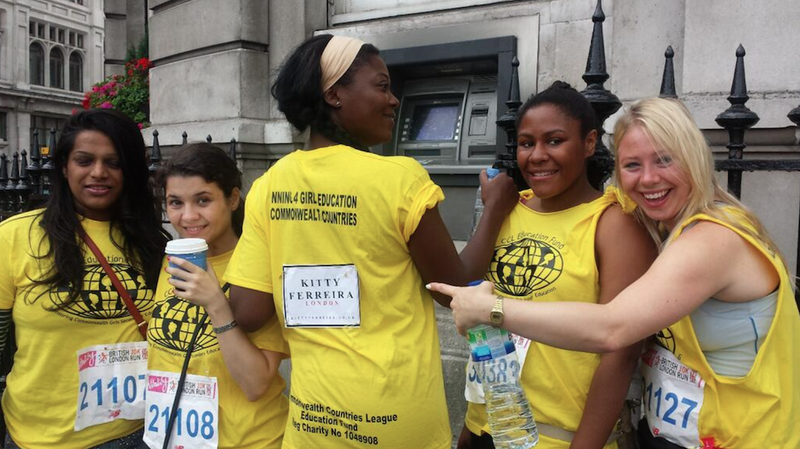 Last year we took part in the #British10KLondonRun to help raise further sponsorship, raising over £300. Thanks to all who donated to our Just Giving page! I’m really impressed with this charity as the effects of their outstanding work can be seen in the likes of Ladi. In light of the kidnapped girls in Nigeria last year, sparking the #bringbackourgirls campaign, it serves as a reminder to keep helping these vulnerable girls get an education; after all I, myself, wouldn’t be here writing this if it weren’t for my education- a privilege we can all too easily take for granted.